One of the most popular examples of the correlated subquery is about finding the second highest salary of an employee in a given table. Even though there are multiple ways to solve this problem e.g you can use window functions like row_number or rank but using regular subquery to solve this problem is the easiest way. Btw, even though you can solve this problem by using a regular query it become tricky when Interviewer extend this problem to find the Nth highest salary then you just can't go with regular subquery because of unlimited nesting. Correlated subquery solves this problem elegantly as shown here. It compares data returned by outer query e.g. salary and compares with other salaries to find out exactly how many salaries are higher than this salary. The difference between correlated and regular subquery is also a frequently asked SQL interview question. Mostly asked on telephonic interview where they cannot ask you to solve query and check the fundamentals and theoretical concepts. In this article, I am going to compare correlated subquery with the regular one of different parameters e.g. their working, speed, performance, and dependency. I'll also give you a good example of correlated subquery e.g. the Nth highest salary problem and explain how exactly it solves the problem. So, if interviewer ask you to find the 4th highest salary then there can only be at most 4 salary which are equal to or greater than the 4th highest salary. This is just an example, you can use correlated subquery to solve many such problems in the world of data and SQL. A non-correlated subquery is executed only once and its result can be swapped back for a query, on the other hand, a correlated subquery executed multiple times, precisely once for each row returned by the outer query. SELECT MAX(Salary) from Employee where Salary NOT IN (10000). In this example, the subquery is SELECT COUNT(Salary) FROM Employee p WHERE p.salary >= e.salary, you cannot swap it's value for the outer query because it needs to be executed for each employee. and subquery will find how many salaries are higher than 5000 if count return 2 then it's the second highest salary. This logic needs to be executed for each row outer query will process. A correlated subquery depends upon the outer query and cannot execute in isolation, but a regular or non-correlated subquery doesn't depend on the outer query and can execute in isolation. From the above example, you can see that a correlated subquery i.e. SELECT COUNT(Salary) FROM Employee p WHERE p.salary >= e.salary depends upon outer query because it needs the value of e.salary, which comes from table listed on outer query. On the other hand, regular subquery, SELECT MAX(Salary) FROM Employee doesn't depends upon the outer query and can be executed in isolation or independently of the outer query. You can read a good SQL book to learn this more detail e.g. 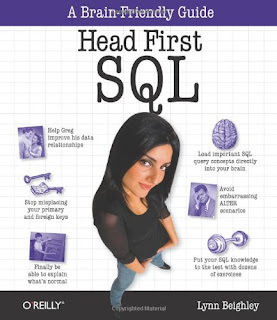 Head First SQL by Lynn Beighley. A correlated subquery is much slower than the non-correlated subquery because in former, the inner query executes for each row of the outer query. This means if your table has n rows then whole processing will take the n * n = n^2 time, as compared to 2n times taken by a non-correlated subquery. This happens because to execute non-correlated subquery you need to examine just n rows of the table and similar to execute the outer query you need to examine n rows, so in total n + n = 2n rows. This is the reason you should be very careful using a correlated subquery with large tables e.g. tables with millions of rows because that can take a long time and could potentially block other jobs and queries from accessing the table. 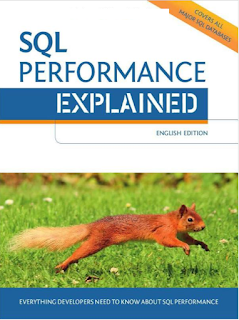 If you want to learn more about how changing a query from subquery to join result in better performance and other small changes which gives big performance boost, I strongly suggest you to read a good book on SQL query and performance optimization e.g. SQL Performance Explained by Markus Winand. That's all about the difference between correlated and non-correlated subquery in SQL. You have learned that correlated subquery is executed for each row returned by an outer query, which makes it very slow, but at the same time gives it the power to compare one row of the table to other rows of the table. That's why sometimes only solution possible was only by using a correlated subquery. On the other hand regular or non-correlated subquery return a result which is then used by the outer query. It only executed one time and not for every row returned by the outer query, hence it is faster than a correlated subquery. Thanks for reading this article so far. If you like this SQL Interview question and explanation then please share with your friends and colleagues. If you have any question, suggestion or feedback then please drop a comment and I'll try to answer it.